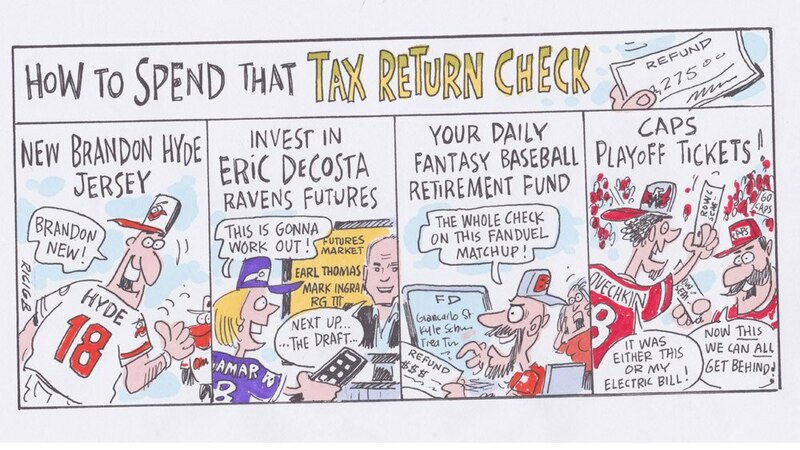 In his latest sports cartoon with PressBox, Mike Ricigliano offers four ways for local sports fans to spend that tax return check. In his latest sports cartoon with PressBox, Mike Ricigliano looks at four things we've never (ever) seen in March's college basketball frenzy. In his latest sports cartoon with PressBox, Mike Ricigliano imagines possible stops on a new Camden Yards tour.